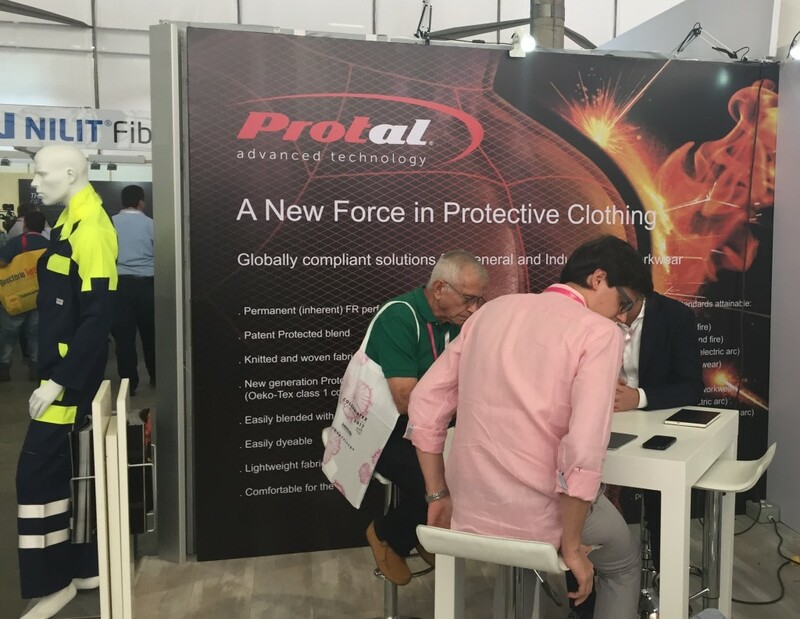 Protal exhibited for the first time in South America at the Columbiatex exhibition in Medellin Jan 24-27 due to growing demand for inherent flame retardant fabrics and to enhance our strategy for expansion and development in South and Central America. Protal 5 our lightweight 180gsm fabric was the attraction of the show. Protal 5 is a patented solution, a multi-global and multi risk fabric certificated for both U.S and E.U. legislation enabling a “one fabric fits all” solution for companies. “With increasing demand for inherent fabrics in the Central and South American territories this exhibition showcased our product ranges for Protal inherent fabric ranges. For our first exhibition in this region Protal was well received by the visitors and we have received a lot of good quality enquires from all regions of South and Central America for the fabrics and we will be working closely with both our European and South American partners to service these demands”.